"What an amazing difference! These provide the most incredible clarity and definition while delivering tight, massive yet articulate low-end punch. Absolutely nothing is missing from these pickups and electronics!" 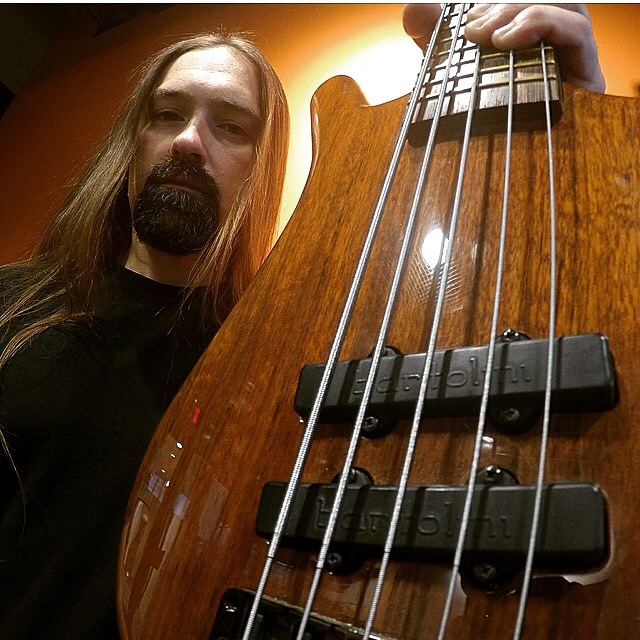 Bill is a well known bassist/multi-instumentalist who has performed with several signed bands, recently toured as substitute bassist with thrash metal giant Flotsam and Jetsam, and is the bassist for his current band – Inhumatus. Earlier he performed internationally as a band member of thrash metal band Toxik. He has played music all over the world including several countries in Europe and South America. Notable festival performances include Keep It True XVII (Lauda-Königshofen, Germany) and Alcatraz Metal Festival 2014 (Kortrijk, Belgium). He understands and speaks enough Spanish to be dangerous and knows the international languages of music and great beer. Bill started off his musical career studying and playing saxophone. He was able to apply and develop that knowledge to bass, guitar, Chapman Stick, keyboard,and even drums. He is known for playing both the fretted and fretless bass and continues to work towards furthering his knowledge of the instrument, music theory and incorporating different styles into his playing. He is also capable of singing backing vocals if needed. He knows that music talent isn’t enough. His hard work and perseverance have established him as a musical force in the New York area and nationally as well.